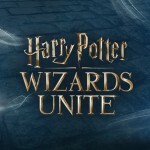 For Potter fans in the Pacific Northwest who aren’t able to make it to the Wizarding World of Harry Potter anytime soon, fear not. 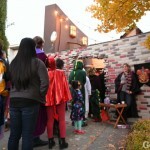 A replica of the iconic magical street from your favorite series, Diagon Alley, has apparated to a Seattle-area driveway. 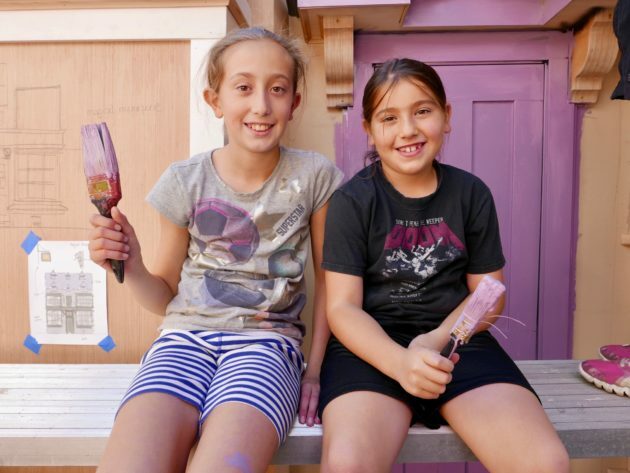 Father extraordinaire, Jonathan Chambers, a tech wizard with a talent for art, design, carpentry, and some spare time on his hands, has cast a spell on his neighborhood with a new project inspired by his kids’ love for Harry Potter. After a few months of planning, two of weeks of work in his extensive garage wood shop, the likes of which would fascinate Arthur Weasley, and countless volunteer hours, the enchanted street opened just in time for trick or treaters on Halloween. Chambers counted over 2500 visitors by the end of the evening and the count is up to 3000 after night number two. 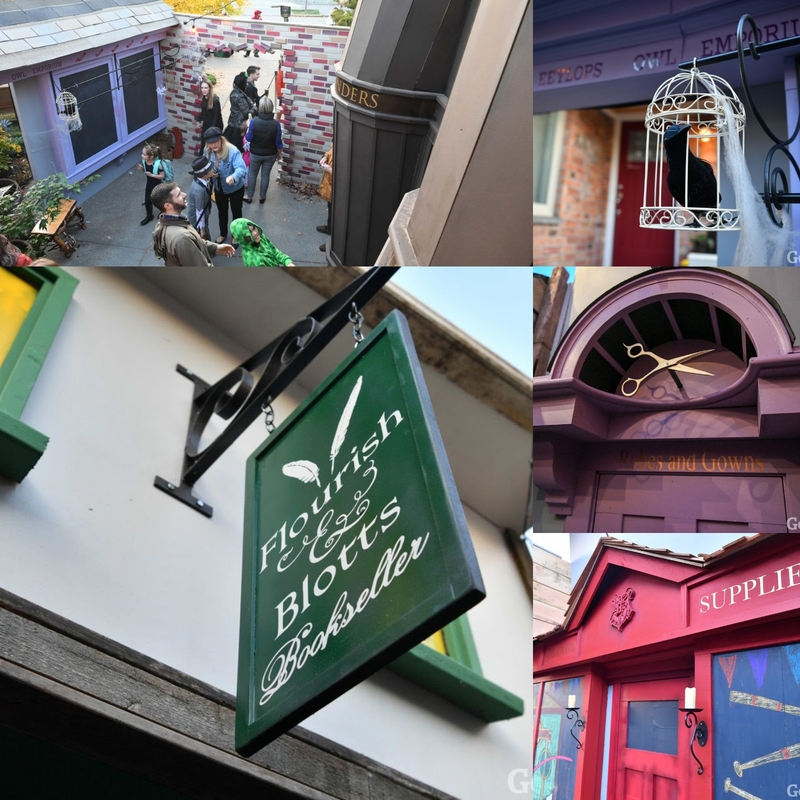 Chambers and company built six storefronts that will be familiar to fans including Quality Quidditch Supplies, the Magical Menagerie, Flourish and Blotts, Madam Malkin’s, the Owl Emporium, and of course Ollivanders. Guests enter through a hole in the fabricated brick wall opposite Chamber’s masterpiece-in-the-works Gringotts at the far end. 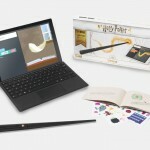 Many of the details have been created with a 3D printer, including a golden snitch over the door of the Quidditch shop as well as beautifully crafted digital drawings in the windows to bring the facades to life. The family even planned for actors to peruse the Alley on Halloween dressed as some of our favorite Potter characters. Part of these young witches’ motivation went far beyond fantasy and fun. A well-known entrepreneur in their community recently died of pancreatic cancer and the girls took an interest in his story and why his disease wasn’t able to be cured. It was their decision to donate any proceeds the Chambers receive to that cause. 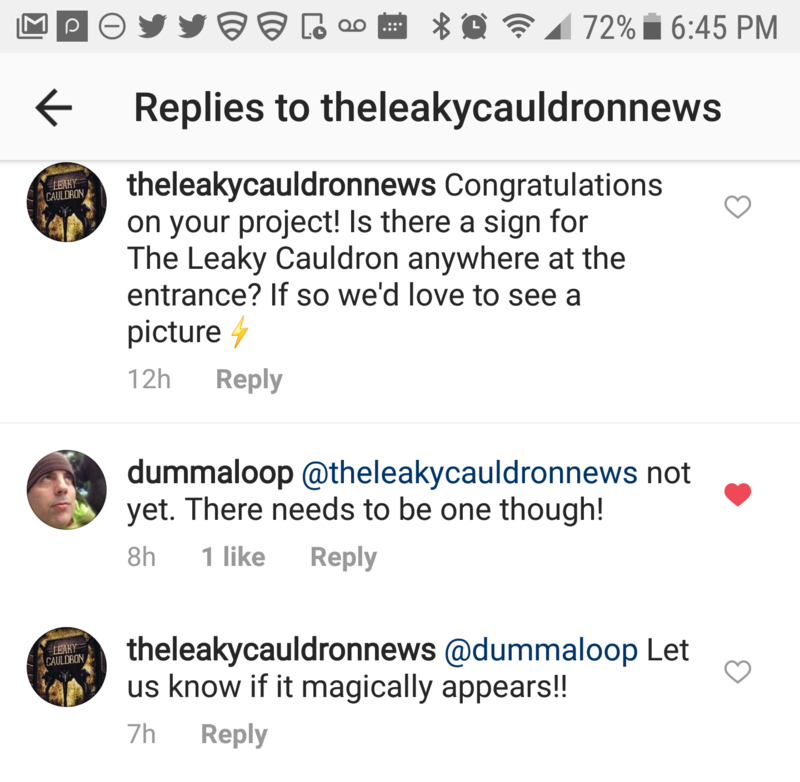 We’ll do our part to let her know! 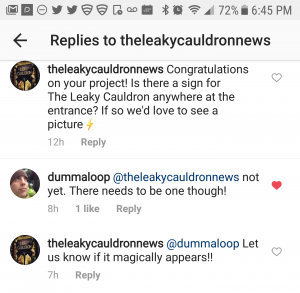 Check back with us to see if The Leaky Cauldron annex appears in this Seattle driveway! If you’re in the Seattle area, you can visit Chambers’ Diagon Alley through Christmas. Click here to donate to the pancreatic cancer research fund chosen by the family.